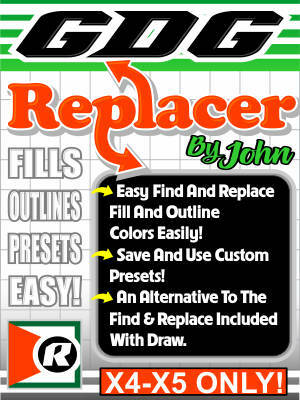 Fast and easy alternative to the find and replace in Draw. Also save your own custom presets! Works on multiple pages! For X4 and X5 only! See pictures and videos below.